Finally I purchased a Joseph Wesley Black Tea. It's Tea No. 06, the Bai Lin Congfu. 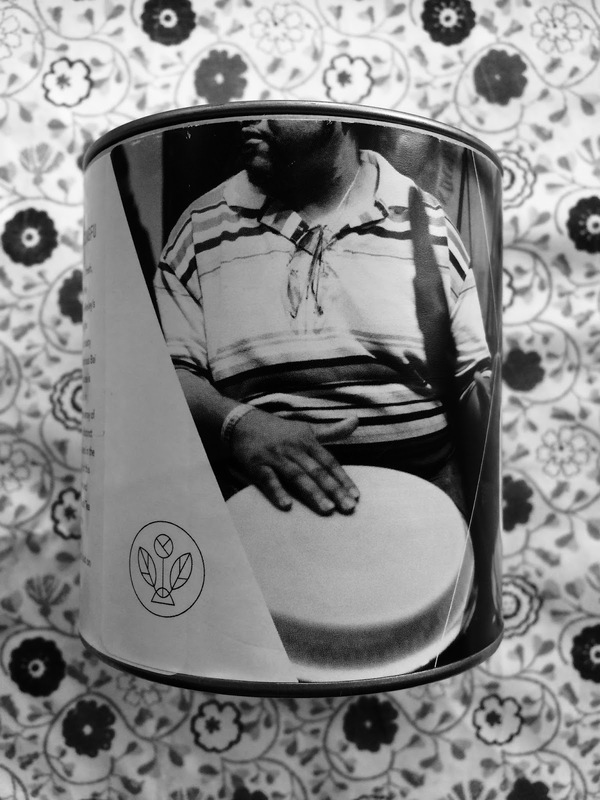 The company was serving this tea at the 2015 Coffee &Tea Festival. I liked it immediately. Another good thing -- I met Joe Uhl, and he's as gracious as his writing voice. If you don't already know, Joseph Wesley Black Tea only sells black tea. View the complete tea collection. 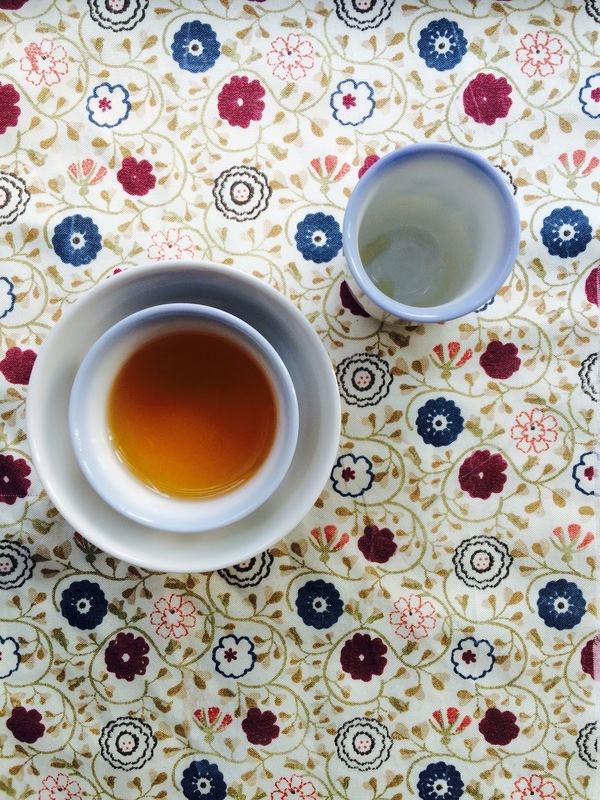 Each tea is single origin, grown on an estate, and is directly sourced. Read about this approach to tea procurement. 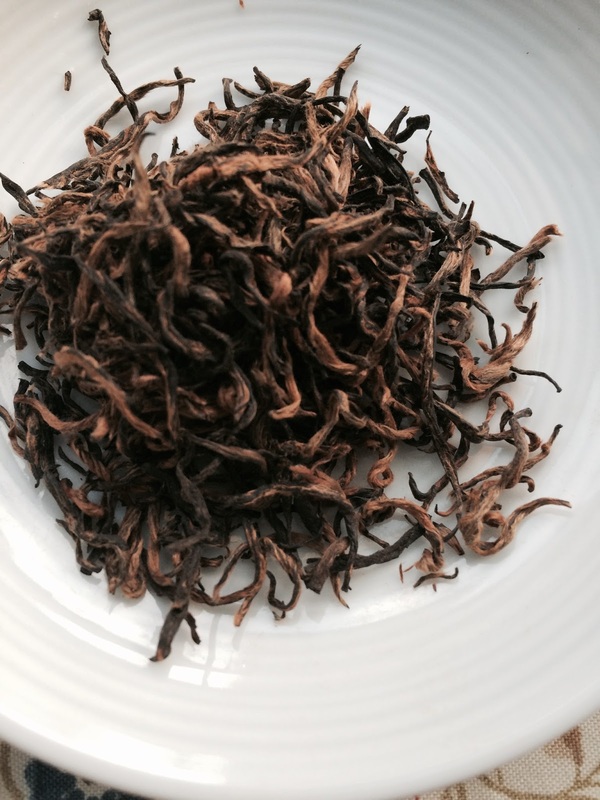 The Bai Lin Congfu is a Chinese black tea made from the Da-Bai tea cultivar. The leaves are beautiful, aren't they? Long twists of gold and black. On the nose, the dried leaves are dark chocolate and bread dough. The smell of the liquor as it steeps is like warm butter and sugar in a pastry. When I pour the liquid into my drinking cup, the wet leaves in the tasting cup smell like a really good milk chocolate malt. Whenever I drink this tea I wonder what it would taste like as/in a chocolate bar. There's underlying dried fruit cake flavors. When my Aunt Elizabeth first tried this tea she described it as tasting of being on a cloud. The tea coats your whole mouth lingering in the cheeks especially on the second steep. I prepare this tea in my tasting cup set using 1-2 teaspoons and an estimated water temperature of 185-190 degrees F. My first steep is usually 2-2.5 minutes as recommended. I haven't gone beyond three steepings. 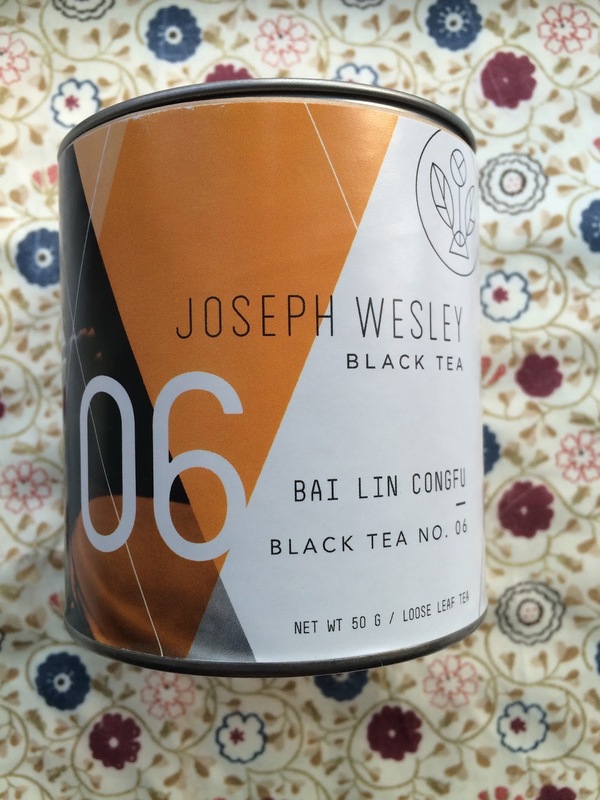 Have you tried any of the Joseph Wesley Black Teas? I'd like to hear about your experience. P.S. Bai Lin Congfu pairs really well with creamy, funky cheeses. I recently drank the tea with Ardrahan and Quadrello di Bufala cheeses. Yum! Love your pics. Their Lapsang Souchong is some of my most favorite. Love the Classic Chinese and Keemun as well. But all of the JWT teas I've tried are great. I'm enjoying this tea a lot and will purchase other JW teas when I'm done. I will keep your favorites in mind.